Photography Theory in Historical Perspective: Case Studies from Contemporary Art aims to contribute to the understanding of the multifaceted and complex character of the photographic medium by dealing with various case studies selected from photographic practices in contemporary art, discussed in the context of views and theories of photography from its inception. Hilde Van Gelder is editor of the Lieven Gevaert Series. She has co-edited several books inthe series, including Photography Between Poetry and Politics: The Critical Position of the Photographic Medium in Contemporary Art (2008). 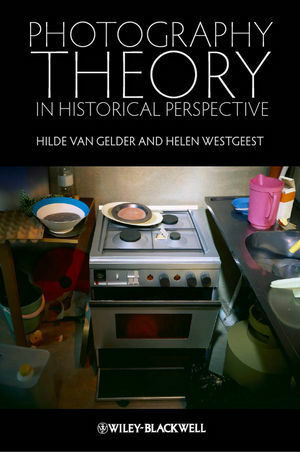 Helen Westgeest is editor and one of the authors of Take Place: Photography and Place from Multiple Perspectives (2009). Framing the Focus of the Book. 1 Representation in Photography: The Competition with Painting. Straight and Composed Photography: The Impact of the Digital. Photographs as Iconic Index of the Reality Represented. Aura, Authenticity, and Reproducibility in Photography. Painting-like Photographs Versus Photo-like Paintings as Multimediating Pictures: The Question of Color. Sharp and Blurred Photographs: Transparency and Hypermediacy. 2 Time in Photography: The Rivalry with Time-Based Arts. Time Exposure and Instantaneity in Photographs. Serial Documentation and the Decisive Moment. Presence and Absence in Photography: Replaced Images Versus Objects of Contemplation. 3 Place and Space in Photography: Positioning Toward Virtual Places and Spatial Objects. Constructed Places in Relation to Places That Exist(ed). Monocular Perspective Investigated Through Divergent and Poly-ocular Perspectives. Spatial Photographs as Extension of the Photo as Two-dimensional Image. 4 Photography's Social Function: The Documentary Legacy. (Post-)Documentary Photographs as Art. Color, and the Politics of (Re)Presentation. Critical Approaches of Advertising and Fashion Photography. Photography as Record of the Reflection of Light. Reflections on Taking Photographs: Photograph–Camera–Photographer. The Photograph as Product of a Process of Reflection. Psychoanalytic Theories Projected in Photography. From Self-reflective Digital Photography Back to Classical Mirror Mythologies.